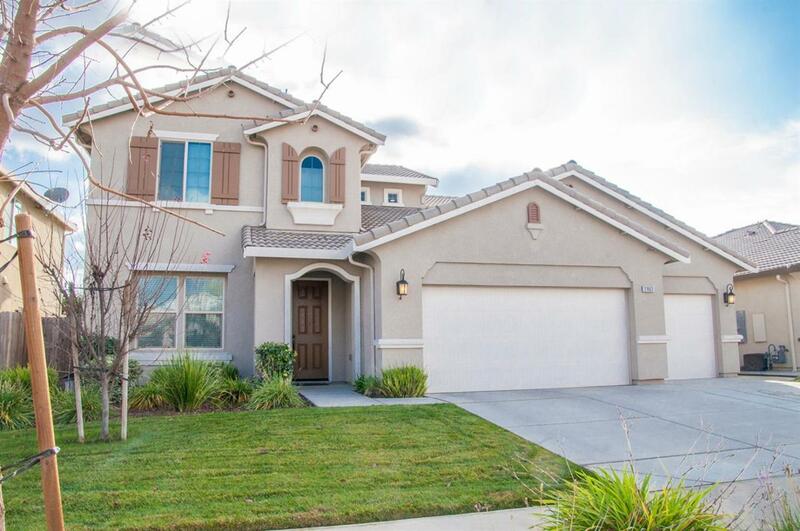 Absolutely gorgeous home in the desirable Palm Ranch neighborhood near great schools. This home is like brand new but better. Backyard done and blinds up! Gourmet kitchen with stunning quartz counters, huge center island, stainless appliances, butlers pantry and large walk in pantry. Spacious home with formal dining, family room with fireplace and beautiful flooring, bonus room upstairs, 4 bedrooms plus 3 full bathrooms! Three car garage and nice size yard with patio. Make an appointment to see this beauty today! Listing provided courtesy of Alisa Satterlee of Re/Max Visalia.